Another journey in the Story of Seasons universe is always a good one. 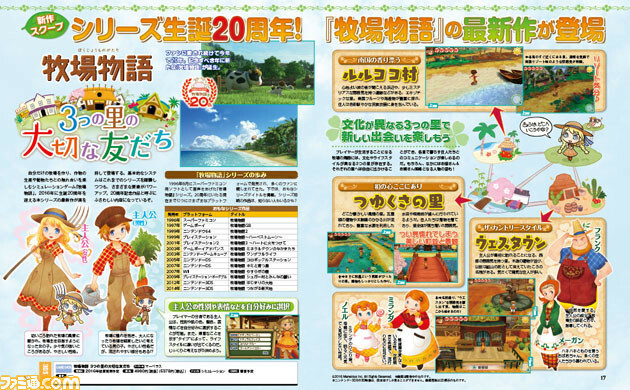 Just when you thought it was safe to stop coveting 3DS games again, another game announcement was leaked: it's Story of Seasons: Good Friends of Three Villages, and it's just been announced in the latest issue of Weekly Famitsu. 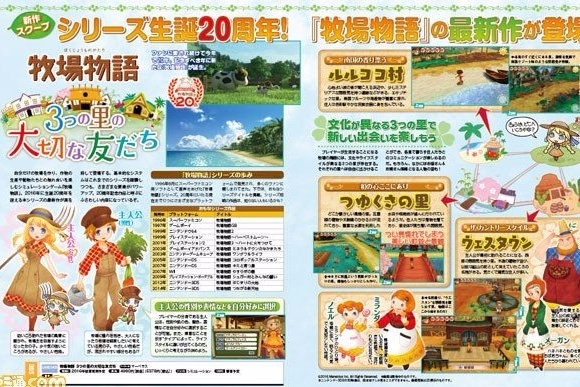 Marvelous' upcoming title is the 20th anniversary entry in the Story of Seasons series, also known as Bokujou Monogatari in Japan. It takes place across three different villages with different bride and grooms, characters, mechanics, and additional changes, so depending on which village you primarily play in you might see different things. Unfortunately, there's not yet been a release date announced for the upcoming title. Hopefully we'll get this game in the west as well since we got the first one. I rather enjoyed it, as it was an interesting riff on the typical Harvest Moon offerings with more options.